operatives after disguising as a woman in Hijab, to beat security. 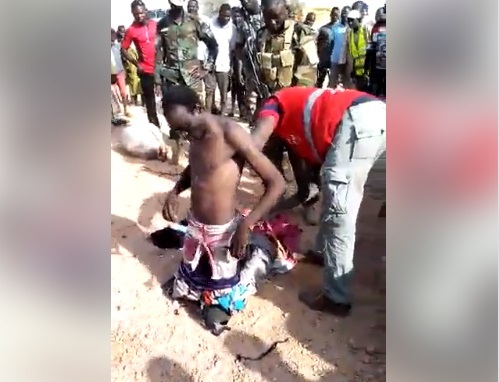 The suspected terrorist was nabbed my military men in Maradi, the third largest city in Niger Republic with a predominant Hausa/Fulani population. It was gathered that he had been declared wanted by troops in the region over his alleged involvement in Boko Haram actives. 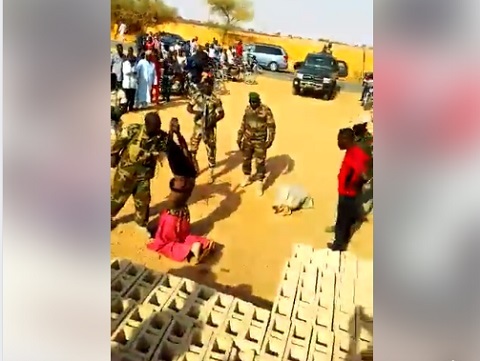 After being tracked down and caught, the soldiers stripped off his clothes including the Hijab in front of a baying crowd. This is coming weeks after ten troops were killed on the border between Niger and Nigeria in a joint operation by the two countries against “bandits”.